In this little 'Learn to Sew' guide, we've selected the best of our Obby classes who are great at teaching beginners. Whether you want a short class or a long one, we've gathered up the best, with trusted reviews from previous customers so that you can decide which class is the best for you. 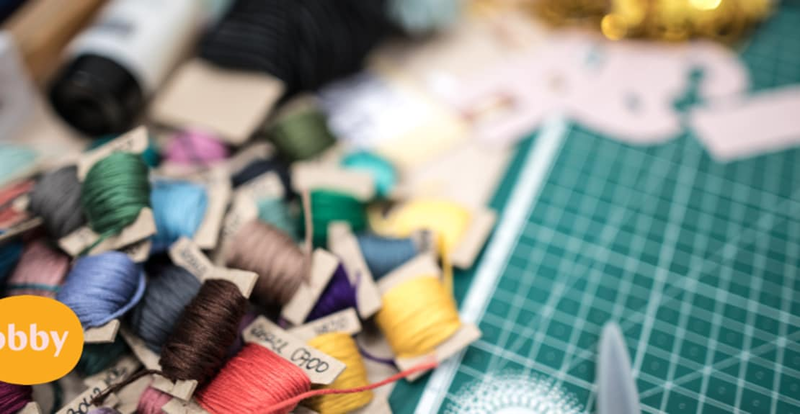 You can now extend your thread of knowledge with this sewing workshop for beginners. Join Craig and the rest of the Fashion Box team for this three-hour class offering an introduction to domestic sewing machines and overlockers. After getting to grips with threading, you'll also have the opportunity to explore different stitching techniques and seams as well as mastering sewing in dreaded zips, all with easy techniques provided by your fashion host. What have others said about this class? "I haven’t been able to stay until the end but I really enjoy the workshop. It was really well explained and in a good atmosphere. I’ve been able to reproduce at home without any problem all that I’ve been explained. I recommend the class for beginners and will not hesitate to go back to another class with the fashion box." "Fantastic class! Francis was very knowledgeable and went at a good pace for everyone. He explained the processes in a very clear way, easy to follow. We learned how to thread a machine, how to do a French seam and a hidden zip. I'll be back for sure!" Get to know your machine at our 'Beginners Workshop' A complete introduction to sewing on a machine. We will cover threading, an overview of stitches, and use of the sewing machine. There will be lots of opportunities for you to practice to build your confidence before we start the project. You will then complete a shopping bag using techniques to sew seams, hemming and loads of useful tips. Walk away with a reusable shopping bag and lots of confidence !! All materials are included in this 3hr workshop, and small group sizes mean you get loads of personal tuition. "Fantastic class! I definitely recommend the class for beginners. Thank you Rachel :)"
"Great workshop to start with a sewing machine and see if you actually like it! At the end of the class, you get your DIY tote bag and the basics of how the sewing machine works! Highly recommend this class with the lovely Rachel! Easily accessible with the train." Make Mee studio take you through measuring your body and making alterations, to demystifying pattern terminology, and of course, constructing a garment. You'll run through multiple options for each technique: different seam finishes, zips and hems. You'll see there's never just one way to do things in dressmaking (and you don't always have to stick to the rules!). This class encourages you to find your own personal way. "A really great course with an excellent teacher. Very laid back, friendly atmosphere, everything explained step by step as you go along, taking time to make sure everyone follows. Went away feeling like I had really learnt how to use a sewing machine and was very proud of my skirt." "I really enjoyed Tracie and Jamie's beginner's dressmaking course, they were both full of knowledge and were happy to adjust the patter of the skirt to include extra things like pockets and pleats!"